Editor’s Note: In my ongoing attempt to locate a Second Wave Feminist discourse on women’s substance abuse and addiction, I turned to the Women’s Health Movement– a logical place, it would seem, to find the issues conceptualized as public health problems with disproportionate effects on women and children. How did the Women’s Health Movement think about addiction? To answer the question, I interviewed Sandra Morgen, author of Into Our Own Hands: The Women’s Health Movement in the United States, 1969-1990, about her experiences–both as a participant and as a researcher–in that movement. For the benefit of people who haven’t read your book, can you explain your interest— personal and scholarly—in the Women’s Health Movement (WHM)? I was involved in various forms of civil rights and anti-war activism in the late 1960s and then, in the early 1970s, began working with early women’s groups, including a socialist-feminist group in Chapel Hill, North Carolina, where I was a graduate student. I was also personally affected by the emerging politics of women’s health in a number of ways. One of the important early insights of feminism, “the personal is political,” helped me take what felt like a giant step back then— to combine my interest in anthropology (I was a graduate student at UNC Chapel Hill) with my growing interest in and commitment to women’s health and women’s reproductive justice. I identified a community-based feminist clinic in the northeastern U.S to join as a researcher, but before I got there they underwent a huge political crisis and decided they did not want an outsider in their midst just then. I set about to find another clinic to study, and although there were dozens of possibilities, my choices were somewhat limited because my interest in race and class, along with gender and sexuality, directed me to the smaller group of clinics that served a broad client base, including women of color and poor and working class women. (Quite a number of feminist clinics, especially in university towns, attracted a more politicized, middle-class and white client base. ) So I bought the Amtrak equivalent of a Eurail pass and travelled around to about twenty clinics on the east coast trying to find a site that served a diverse population and was open to researchers. A clinic in Montreal could not take me because I was not Francophone (although I spent early childhood years in Montreal); that was during a period when the Quebecois movement was strong. Another clinic, I won’t say which but it no longer exists, would not allow an academic researcher on site because they believed that the prestige hierarchy it would put in place was counterproductive. It was not a particularly trusting moment—and for good reason, as some truly bad and dangerous things happened. Eventually I found a clinic in the northeast where I could do my fieldwork; I was there for about 1 and 1/2 years between 1978 and 1980. I began looking at the literature on the women’s health movement when I wasn’t finding any writings on drugs and alcohol abuse as women’s issues in the canonical texts of Second Wave and/or radical feminism. But the movement depicted in both your book and Sheryl Ruzek’s also does not seem very interested in the topic. Did the WHM see substance abuse as an issue? I can’t speak about “the movement” as a whole, but I can talk about the places where I spent time. Although my book looks at clinics all over the country, since I was not focused on substance abuse I wouldn’t want to speak about the politics or ideas about it too far from the clinics where I had more interaction over time. I think it’s important to remember that drug culture of the ‘70s was vastly different than it is today. Many women involved in the movement drank and did recreational drugs—certainly smoked pot, maybe tried LSD. 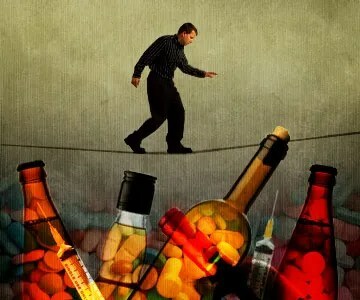 Many of them had come from college campuses where the entire ideology around drugs was different from what it is today. There was a feeling that the counterculture was viable, and that “straight” discourse about the dangers of drugs was grossly exaggerated—and an attempt at social control. Another thing: feminist journals at the time often had articles about women’s addiction to tranquilizers, especially Valium, which some feminists, I think maybe Betty Friedan was one, saw as a way of using drugs to treat women’s legitimate unhappiness about their limited roles and power. The basic argument, which might well have affected how feminist health activists thought about substance abuse (and by the way, that was not a prevalent term in the movement then) was that as a society, we can’t really have any legitimate concern about street drugs when we are perfectly fine with women being doped into submission in the offices of respected doctors. That kind of logic went a long way. But the best way to understand the issue of drugs and alcohol is to understand that they weren’t big issues, or at least not visible political issues, for many people in the women’s health movement. Reproductive health was paramount. Now, this is not to say that we weren’t aware that alcohol and drugs could figure as threats to women’s health. The clinic where I worked and did fieldwork was associated with a women’s center that also worked with battered women, and it was clear that alcohol, especially, played a role in domestic violence. We knew alcohol could be bad for women’s health. But that knowledge did not rise to the level of providing services. And that’s talking about the indirect effects. If we saw women who were themselves affected by alcohol abuse, I don’t even know what we would have suggested to them. I do remember that women’s drug treatment programs were especially limited back then. They are still, but it was much more limited in the 1970s. I don’t remember any explicit discussion of 12-step programs, including AA. I didn’t know much about them but I did have the impression—and I must have had some basis for this—that they were both male-controlled and focused and associated with Christianity. I know AA has changed a lot since then, and its not an area I know much about, but back then AA would likely have joined a long list of androcentric dominant organizations that we, as feminists, would have been unlikely to want to refer women to. And specialized treatment for women alcoholics and addicts was practically unavailable. It’s interesting that you say that, since it’s right about this time—the late 1970s– that federal and state funding starts to shift in ways that make it not only possible but attractive to carve out programs aimed at female substance abusers. Your book does note that women of color in the movement had a different perspective. You mention that the National Latina Health Organization saw alcohol abuse as an issue, and that the Native American Women’s Health Education Resource Center was concerned both with Fetal Alcohol Syndrome and with the criminalization of alcoholism among native women. Do you think that women of color just perceived this issue differently? Given that the experiences of women of color and white women differed on so many issues, it is not surprising that women of color had a broader, and in many ways, sharper analysis of women’s health, including substance abuse issues. The white women in the movement were mostly young, mostly in college or college-educated, able-bodied—basically healthy. Their vision of women’s health needs came out of their community, and reflected it. Women of color did not enjoy the same privileges. The Black Women’s Health Movement, for example, always had a broader vision, both of “health” and of the women it should serve. So they were positioned much better to recognize and to address questions of substance abuse. You’re not the first person I’ve spoken with who’s said that white women on the Left just didn’t have any personal experience with substance abuse, and since it wasn’t a personal issue for them, it just didn’t become an issue for their movements. Stories of addiction are so rampant these days, across all demographics, it’s kind of hard to believe there weren’t white feminists who struggled with alcohol and drugs. You didn’t know anyone in the movement who lived the ‘80s stereotype of getting into a 12-step group or coming out as an Adult Child of an Alcoholic? No, I didn’t. It is interesting, though, to think about whether or to what extent that might have been the case. There were intense personality and political struggles within the clinics and centers of the WHM. Some of the women involved were testy, judgmental, self-righteous. The constant financial pressure and the harassment by the Right had something to do with that, but you also wonder about people’s psyches. If we had statistics on who got involved in the WHM—which we don’t—I wouldn’t be surprised if we saw high numbers of people coming from abusive situations, a lot of survivors of domestic abuse and possibly of alcoholic families. But I didn’t know anyone who tried recovery—it was stigmatized; it still is stigmatized. And anyway I’m not sure I believe that stereotype. My first job after finishing my PhD was Project Director of the Duke-UNC Women’s Research Center, and we used to talk then about the “New Englanding of Women’s Studies”—a sort of homogenization process that made all feminists into the kind of feminists the dominated Boston, New York, Northampton, Burlington, etc. as well as San Francisco and LA. I think the recovery vogue of the ‘80s affected that nexus—but it didn’t encompass everybody. If the 12 steps are an example of the American captivity narrative, “recovery” may have seemed superfluous in the context of a women’s movement offering a captivity narrative of its own.